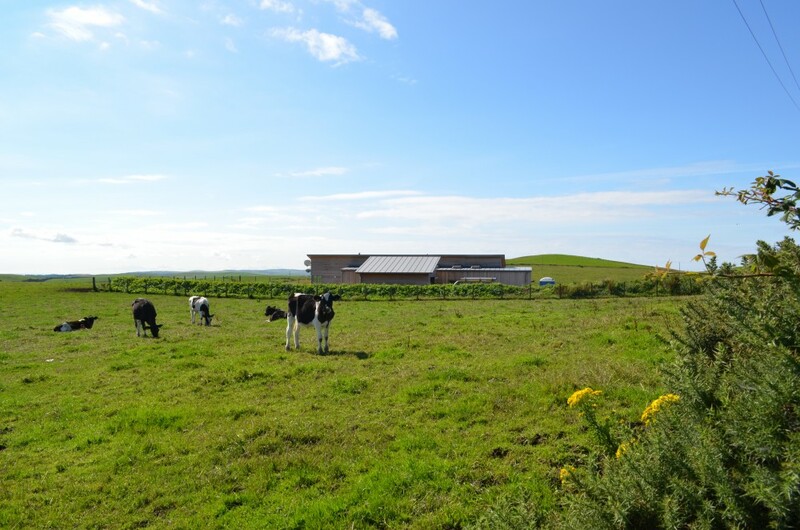 The client required a comfortable house with two / three bedrooms and large open plan kitchen / dining / living space, on a very exposed site near Stoneykirk. The site had no shelter so the design incorporates a number of outdoor areas which can give shelter in different wind conditions and times of the day. The form of the house gives a low profile when viewed from the road to set it into the landscape. Shelter planting was planned to help this. 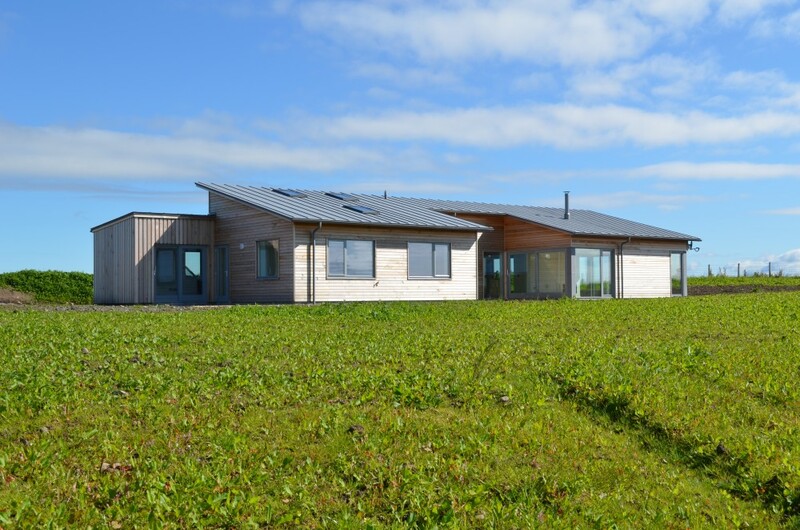 The house has an integral garage and is extremely energy efficient with an air source heat pump and ‘whole house heat recovery ventilation’.